Josh Brolin and Benicio Del Toro sparking a cartel war in new footage from the upcoming sequel Sicario: Day of the Soldado. 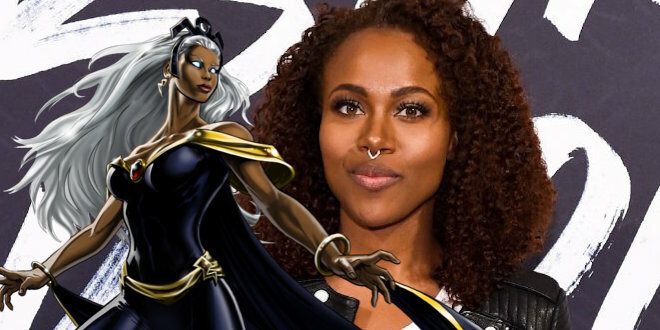 DeWanda Wise (She’s Gotta Have It) dropped out of Captain Marvel, but she has her eyes set on Storm if the mutant ever joins the MCU. With Captain Marvel on the verge of entering production, news is finally starting to pour in regarding Marvel’s first female-led solo film. Although fans got a sneak peak at Captain Marvel’s costume earlier this year thanks to some initial shooting, the film will finally start rolling cameras later this month. And when it does, potentially more set photos and plot information may arrive. The post Former Captain Marvel Actress Wants to Play MCU’s Storm appeared first on Screen Rant. Writer Geneva Robertson-Dworet praises the structured environment that Marvel Studios creates while she was working on the Captain Marvel script. Tony Stark serves The Last Shawarma in cool new fan art that brings the heroes together for a Last Super inspired meeting. No matter your age, Nickelodeon was probably a major part of your childhood. The network has had countless cartoons and live-action shows that helped children and teenagers navigating a world that is sometimes very fun and sometimes very scary. Of course, those Nick fans grow up eventually and stop watching those shows. The question remains, though: just what happens to those actors who made up your childhood? Did they land on their feet with major new roles or did they simply fade away into the distance? The post 9 Nickelodeon Stars Who Became A-Listers (And 7 Who Completely Flopped) appeared first on Screen Rant.